One of the delights of covering a music festival is discovering talent worthy of wider recognition. 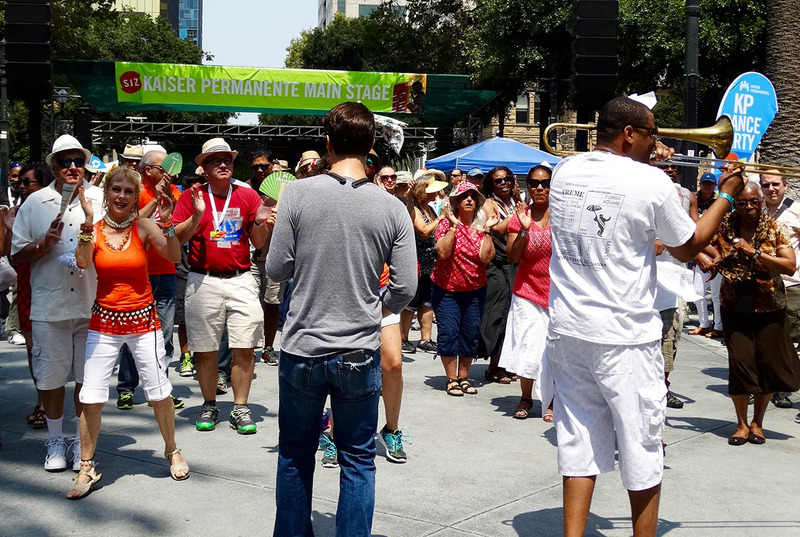 That was the case when I made my way to the Kaiser Permanente Main Stage in beautiful downtown San Jose, as Glen David Andrews’ band was about to take to the stage. 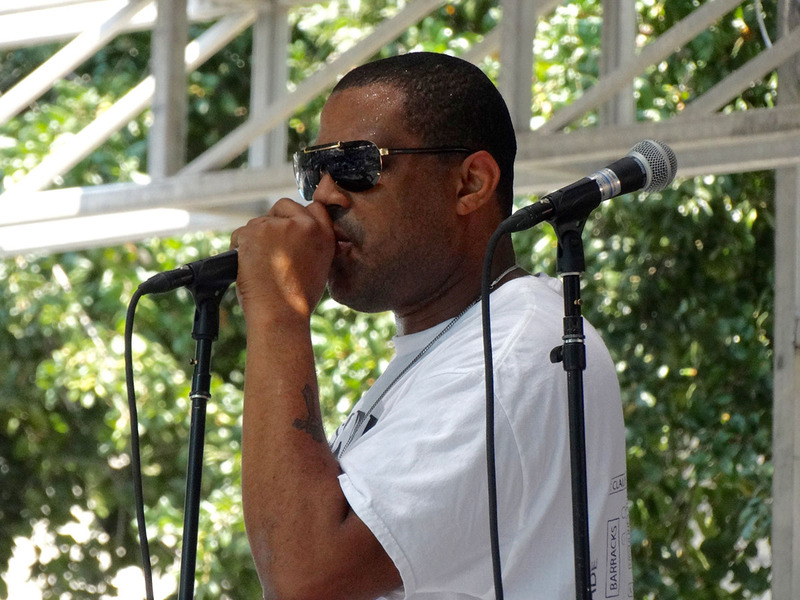 Not being familiar with his music, I looked Andrews up and stumbled on the following quote: “Aside from being a great musician, Glen David has absorbed a fading tradition,” says Ben Jaffee, who runs Preservation Hall (New Orleans), where Andrews performs regularly. “He’s a link for his generation to something important, but he also has a rare enthusiasm and energy that makes it all special and exciting even for the casual listeners.” Though most contemporary band brass band musicians have embraced the more funk and pop-oriented sound of say, the Rebirth band, a shift that began some 30 years ago, Andrews always includes some of the old rhythms, spirituals, and trad-jazz tunes in his performances. And push the envelope he did. Andrews and his band are a force. Their music is an electrifying combination of Funk, R&B, Jazz, Gospel and Zydeco, a joyful, communal noise that prompts, even the most casual listeners to lose their inhibitions, whoop, holler and shake the booty. 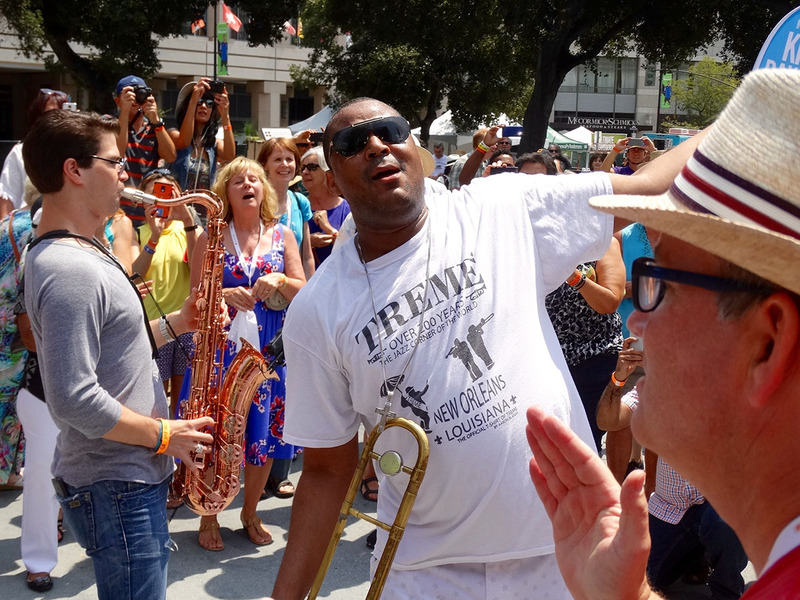 The highlight of the performance occurred when Glen David Andrews and saxophonist, James Martin plunged into the audience and started up a second line (parade) and the revelers (including me) were only too eager to follow. Andrews hails from a long line of musicians and was raised in the church. His remarkable voice, commanding trombone and disarmingly honest manner make him an instant crowd pleaser. 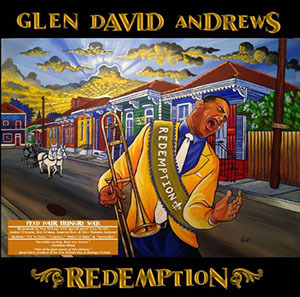 Pick up a copy of Redemption and allow Glen David Andrews to take you higher. 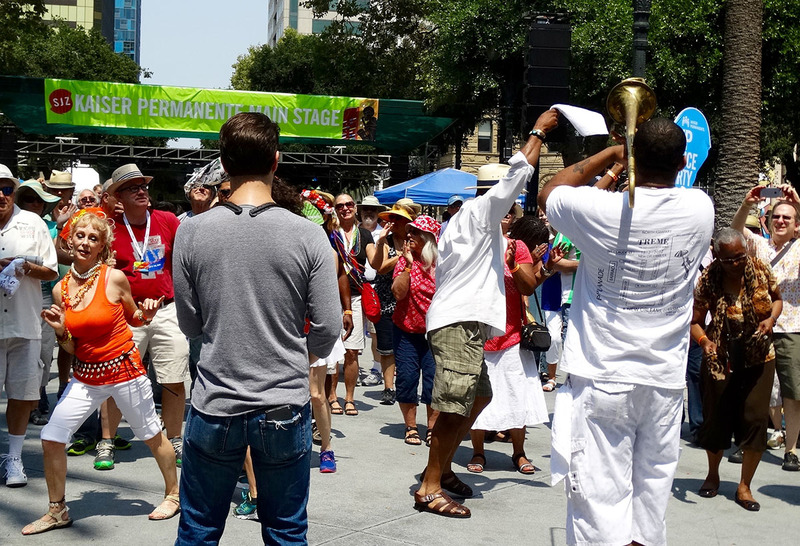 The San Jose Jazz Summer Fest runs From August 7 to August 9, 2015. 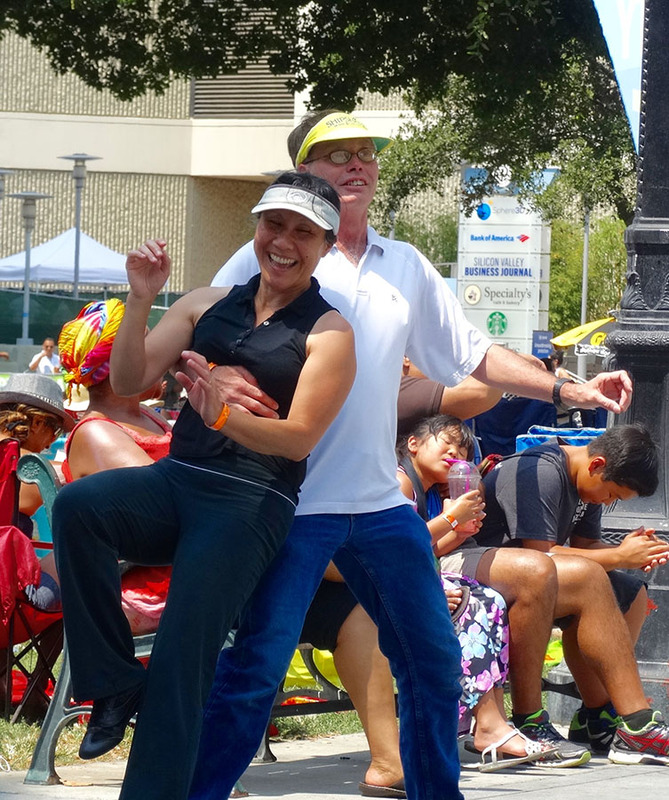 It’s the South Bay’s biggest cultural event and features 100 shows on 13 stages (and venues) throughout downtown San Jose. 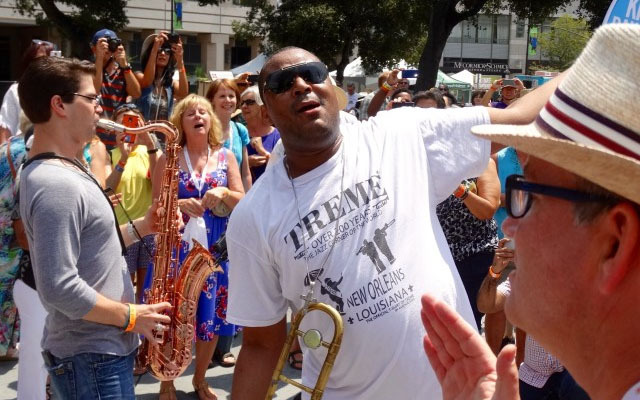 Band Members: Glen David Andrews – (Vocals and Trombone) James Martin – (Sax) Derrick Freeman – (Drums) Craig Adams – (Keyboards) Julius McKee – (Sousaphone and Bass).